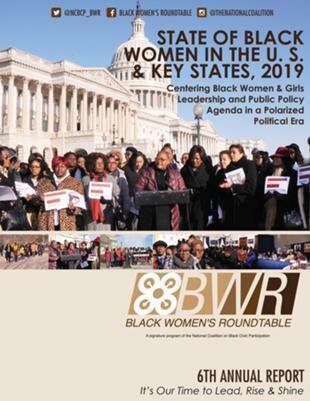 The National Coalition's Black Women's Roundtable Goes Global! Black Women’s Roundtable member, Felicia Davis, advocates for women at a United Nations Convention on Climate Change in Bangkok. Two million more black voters cast a ballot in the 2008 election than in 2004; and, young black voters had the highest increase in turnout among all groups, a U.S. Census Bureau report released today revealed. The National Coalition on Black Civic Participation's (NCBCP) Black Women's Roundtable (BWR) is proud and elated to hear President Obama's announcement today that their 2007 honoree, Dr. Regina Benjamin, has been selected as the next U. S. Surgeon General. Melanie L. Campbell, Felicia M. Davis, and LaTosha Brown comment on her nomination. Congresswoman Barbara Lee; actress, Sheryl Lee Ralph; editor-in-chief emeritus of Essence, Susan Taylor; and retired Command Sergeant Major, Michele S. Jones; are the National Coalition on Black Civic Participation’s (NCBCP) 2009 Spirit of Democracy Award recipients, NCBCP executive director and CEO, Melanie L. Campbell announced recently. 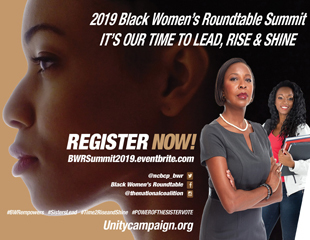 Congressional representatives, national and local leaders will share strategies to galvanize the Black community to participate in the 2010 census during the National Coalition on Black Civic Participation’s (NCBCP) Census 2010 Call to Action Leadership Summit. The National Coalition on Black Civic Participation applauds President-elect Barack Obama for his resolve and commitment to bring change to America. He has assembled a talented, bi-partisan and diverse national security team that will undoubtedly restore America’s status around the world, and boost confidence here in the United States. Currently reading page 13 of 15.